The next Harley European Bike Week will take place from 5th to 10th September 2017 – once again in Carinthia region at Faaker See, which seems to be perfect for organizing also this kind of events. Faaker See hosted a truly unique event in the beginning of September. Precisely from 6th to 10th September the Austria’s alpine region of Carinthia hosted the Europe’s biggest open Harley-Davidson event with incredible participant number of 120,000 guests and 70,000 bikes. An epic, free season-closing party for Harley riders and music fans welcomed riders from across the world, including Cuba, Dubai and Indonesia. The guest of honour at the event at Faaker See was Bill Davidson, great-grandson of one of the original founders of the company and head of the Harley-Davidson Museum in Milwaukee which also lead the massive parade of 10,000 bikes around Ossiacher See, the traditional culmination of the event. 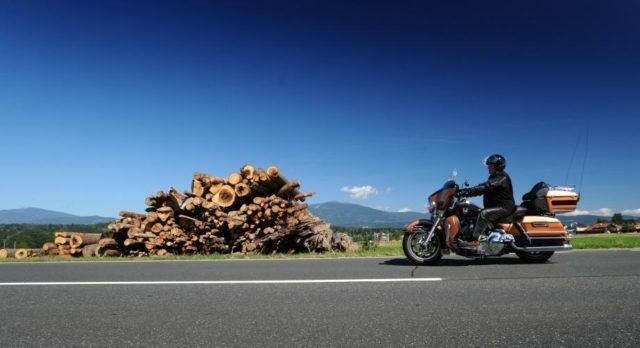 Harley riders were able to explore the fascinating Alpine landscape, together with local knowledge of the most exciting roads and scenery that was available to riders through escorted rides by the members of the local H.O.G. Chapter, Alpe Adria Chapter, who organised a series of trips across the spectacular alpine passes. The heart of the event was the city of the Harley Village, including a Dealer Mile with 19 Harley dealers from five countries, 30 caterers, 130 retailers and the main stage hosting a line-up of bands including Physical Graffiti, Tito & Tarantula, Royal Republic, Trez Hombrez and Kitty Daisy & Lewis. Further musical entertainment was provided by a host of other venues including Bar 412, Hot Spot and many more who catered to all musical tastes – with a total of 60 live performances.